Vines in Mendoza. Credit: Lira Wine Experience. Later in the year I will be joining Lira Wine Experience for a 14-day trip throughout Argentina, starting October 20 and finishing November 2. Beginning and ending in Buenos Aires we will visit three distinct regions in Argentina – the vineyards in skies of Salta, the valleys of Mendoza and the glaciers of Patagonia. Hard to resist I know! The red earth of Quebrada de las Conchas. 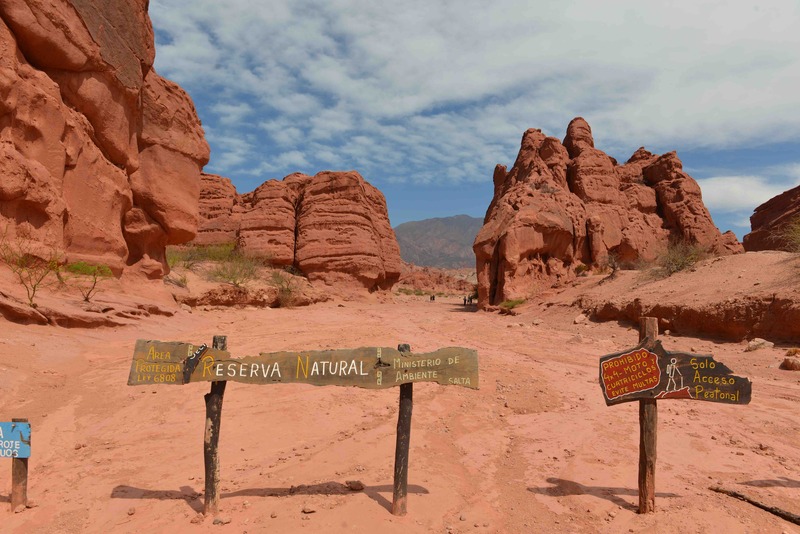 After exploring Buenos Aires together we will fly to Salta before driving to Cafayate – a drive like no other. The rock formations of Quebrada de las Conchas (gorge of seashells) are stunning. The endless red rock and cracked earth will leave you feeling as if you have been transported to another planet! Cafayate is a beautiful town, rich in culture and history. It is here that some of the country’s best white wines are produced from the grape Torrontés. Among the wineries we will visit in Cafayate is one of my personal favourites, Bodegas El Porvenir. Their wines are of the highest quality and are excellent examples of Torrontés and the red grape Tannat. We will also visit Bodega Colomé, home to the highest vineyard in the world and an astonishing art collection at the James Turrell Museum. Taking in National Parks along the way we will return to Salta before flying to Mendoza for the next leg of our journey. Mendoza is perhaps the most recognised wine region in Argentina and is well established for the quality of red wine produced here. Malbec is the leading red grape variety with Bonarda also playing an important role, alongside Cabernet Sauvignon and distinctly Argentinean red blends. It is here that significant research has been undertaken to better understand the different soil types in the regions and the unique signatures of each of the sub-regions, particularly with regards to Malbec production. Fortunately for us, we will be staying in one of those sub-regions, Lujan de Cuyo, to ensure we get up close and personal with all that is on offer. The view from Siete Fuegos. Credit: Lira Wine Experience. With the beautiful Andes as our constant companion we will visit several wineries in the region in addition to be treated to a degustation menu with matching wines at Ruca Malen, voted Best Global Winery Restaurant by the International Best of Wine Tourism Awards in 2014. Free time has been scheduled during part of our stay here to allow you to explore the region at your own pace – hiking, biking, horse riding are all available, or if relaxation is on your mind, our accommodation includes access to a pool and day spa. 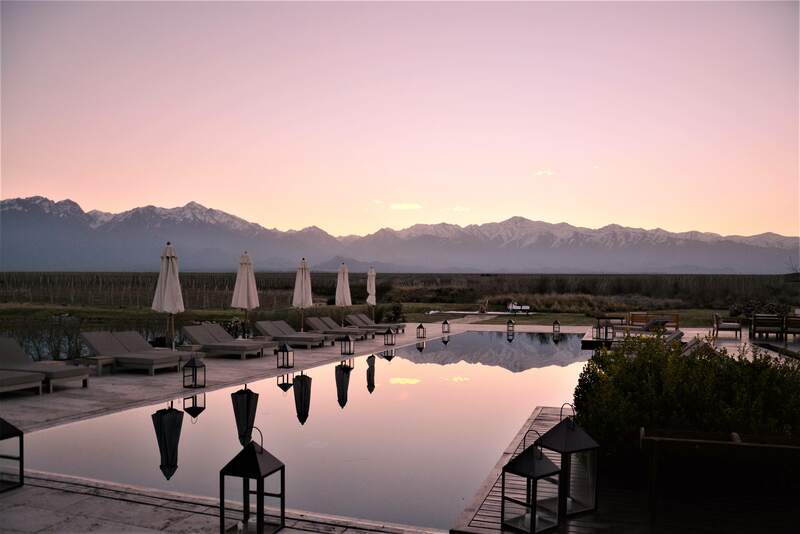 Other activities on this part of the trip include watching the sunset over the Andes whilst being surrounded by the vines, dinner at the highly internationally acclaimed Siete Fuegos (Seven Fires) restaurant and a cooking class with regional foods. As difficult as it will be to leave Mendoza, we will head down to Patagonia and the town of El Calafate in the province of Santa Cruz. The final leg of the journey will be filled with activities to ensure you never forget this trip! We visit the Parque de Nacional de los Glaciares (Glaciers National Park), including a boat trip and walk on the Perito Moreno Glacier – a spectacular finish to an altogether special journey. If this has caught your attention, you are not alone! Visit Lira Wine Experience for more information and to register your interest. Alternatively you can get in touch directly with Lire Wine Experience to book your place.